When you speak of car accidents, the fact is that they always impact human bodies. Medically, human bodies are not designed to suffer such severe impacts. On top of that, car accidents usually offer little to no time for a person to brace for impact. This is the reason why individuals, more or less, end up feeling the full brunt of the accident. Whiplash and other kinds of soft tissue injuries are ALWAYS present, regardless of the severity of an accident. The neck especially suffers greatly as a result of the sudden jerking of the body. Are you feeling perfectly fine after an accident? Do you think that there is no need to visit a doctor? If the answer is yes, then you certainly are mistaken. Why? Well, it is because you are not accounting for the delayed symptoms in the entire scenario. If you do not feel any pain immediately, chances are that the chemicals in the body might be masking the pain and other severe injury symptoms. It is common for the symptoms to come into light a few days or even weeks later. When left untreated, the symptoms will begin to grow substantially, both in intensity and pain. This is a major reason why you need to see a medical doctor immediately after an accident. Was the accident a result of negligent driving by the other party? If the answer is yes, you would obviously want them to pay for the damages, medical bills and treatments. However, in order to make that happen, you will need a valid medical report that illustrates the fact that you got injured as a result of the accident. This is why it is so important to see a doctor after an accident. When filing a claim with the insurance company, you will need every little piece of documentation required. If two weeks have passed and you still have not gotten a medical diagnosis report, chances are that you will be unable to prove that you were the injured party in the incident. On top of that, when you speak of receiving compensation in addition to what the medical bills amount to, you cannot lay enough stress on proving that you actually underwent physical or emotional pain and trauma. When you take it all into perspective, you have to say that there are several strong reasons for visiting your doctor after an accident. However, the most essential cause is your health. If you wish to lead a life free of pain and difficulty in the future, it is imperative to have yourself checked up succeeding an accident! If you have suffered an accident, it is important to call Attorney Javier Marcos right away. We are open 24 hrs, get your free consultation at 713.999.4444. You have a right to receive medical attention. After an accident, it is really important to see a doctor after an accident. The symptoms of the car accident may not be immediate. And after time you can feel the symptoms, this is why you can not let time pass by. Call right now for your free consultation. 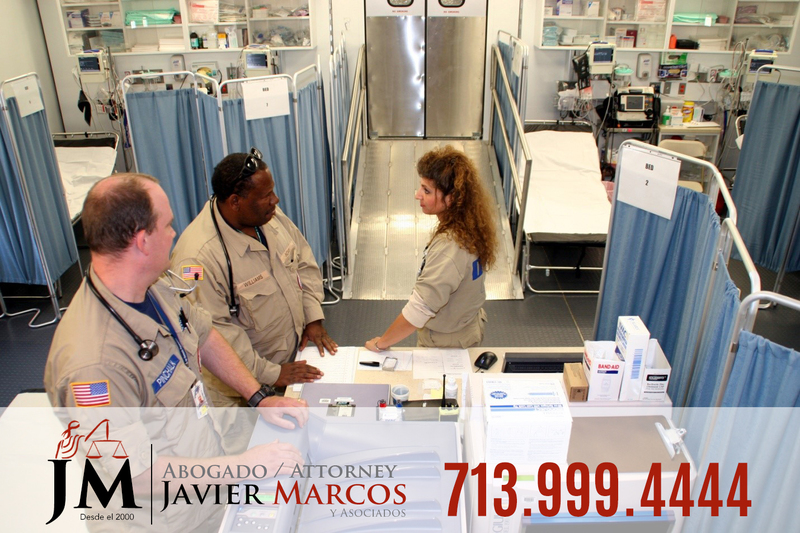 If you call Attorney Javier Marcos, you will be able to see a doctor after an accident even though you do not have health insurance with no cost.